Before you launch an ecommerce store, you’ll need an ecommerce business plan. In this example, we’ll dive deep into the key elements of what’s required when writing a plan for your very own ecommerce empire. Taking the time to write a business plan can seem like a bit of a chore, but in the long run it will save you both time and money. By checking out this example ecommerce business plan, you’ll get a better understanding of your business, the resources you’ll need along the way, a road map to help set out clear goals and a vision for success! The Executive Summary of your business plan outlines what your business does. It’s an overview of your business and summarizes all its key points, as well as being an introduction for the rest of your plan. Who the company is – In the Company section of the executive summary, we’ve talked about the key staff member and the expertise and experience he brings to the table, as well as the proposed project and the opportunities it will bring to the local area. What we sell – What the problem is and how you plan to solve the problem. Target Market – Who your customers are going to be. So, if you would like to start an online comic store or are looking for an ecommerce business plan template, this guide will give you all the ideas you need for a complete business plan. Check it out and feel free to lift anything you want. The #Executive #Summary outlines what your business does, summarizes your key points, and prepares investors for the rest of your #businessplan. It’s vital you provide a solid case for your business idea, which is why your #executive #summary is so important! Comic Books Online intends to become the market leader in the sale of games, comics, and collectables. This will be achieved via a network of ecommerce websites with additional sales coming through Amazon and eBay. At present Comic Books Online is based at The Main Street Lodge, Main Street, California. The long-term plan is to have a brick and mortar retail chain within the City, which will act as a regional hub for customers to trade in unwanted goods to serve the second-hand market and which will incorporate the online business as well. Comic Books online currently sells comics (US comics, Marvel, DC etc), Miniature Wargames (Games Workshop, Warlord Games, Mantic etc), Board games (Fantasy Flight, CMON etc), CCG’s (Magic the Gathering etc) and second-hand Blu Ray films via their eBay store. They are in the stages of expanding their range to include second hand vinyl records and CDs, retro and current video games, console hardware/tablets, etc. Comic Books Online’s primary target market is mainly males aged between 10-55 years old. There is a growing female market for the products and, if marketed and presented in the correct manner, this could be a market share that Comic Books online could dominate. In this ecommerce business plan sample, the Company Profile section can also be identified with your Company Description. If it’s well written, your potential investors will find it easy to understand your business model, your mission and goals, and how it’s going to meet the needs of your target market. 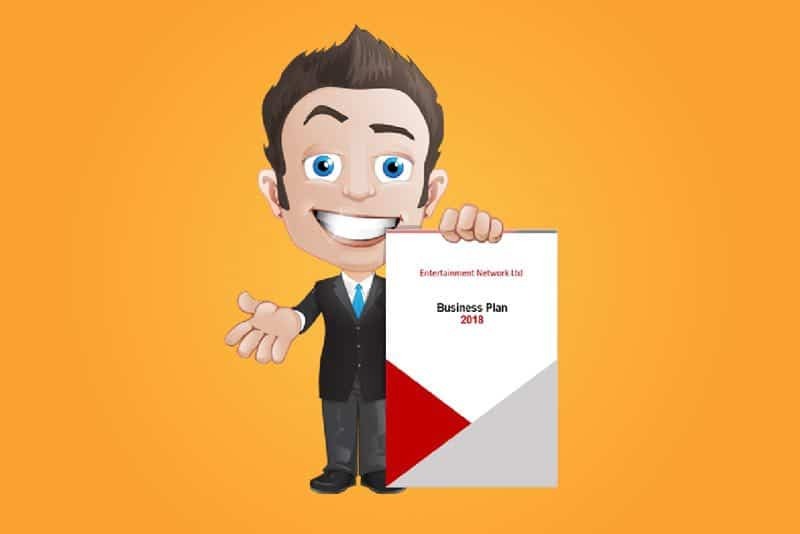 So whether it’s on online store business plan, an entertainment business plan or an eBay store business plan you’re after, we hope you find the following information useful. Comic Books Online is a fairly new business. It was formed in February 2017 by David Marvel, who is also the director, and began trading in April 2017. The company currently operates from an old warehouse which has been converted into office space but is hoping to secure a retails store within the City. 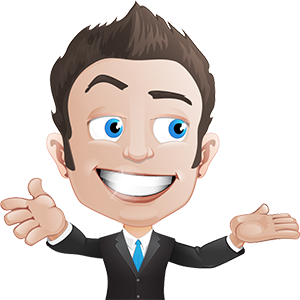 At present, David deals with all the purchasing, merchandising, posting and general day to day operation of the company. David has contacted Crandell, which is an eCommerce company, and has found a web design site that he could purchase ‘off the shelf’ for around $15,000 which also includes many extras. David is the director of Comic Books Online and has recently employed two employees. As the business grows, David plans to employ more staff members. The same staff that work in the retail store will also be responsible for the online orders too. David is confident at planning, product sourcing and buying, as well as organization and general management. Although David has looked into buying a website ‘off the shelf’, he is also considering the option of employing a coder with the knowledge and skill to build and maintain a site on a permanent basis. Currently, Comic Books Online is run from an old warehouse that has been converted into office space. David is hoping that with funding he will be able to secure a retail store within the City. He has made some tentative enquiries and has found one located on the outskirts of the City. It is 3,000 square foot which means that the online selling could operate from there as well and includes twelve parking spaces which is perfect for customers who are coming in to sell items. The rental price, per annum is $40,000. Comic Books Online intends to become the market leader in the sales of games, comics and collectables. They are passionate about the products they sell and aim to deliver the highest possible customer experience and quality of service possible. Comic Books Online wants to use their passion to grow the business and to bring enjoyment to their customers. They plan to launch a series of focused websites, focusing on the different areas of collecting, which will provide a vastly improved shopping experience to their customers. A bricks and mortar retail chain not only will help grow the brand and provide name recognition but will also act as a regional hub for customers to trade in unwanted goods, to service the second-hand market. A #mission #statement is a short statement of an organization's purpose and shows the goal of its operations: what kind of product or service it provides, its primary customers or market, and its geographical region of operation. Comic Books Online was formed in February 2017 and began trading in April 2017. Initially, David began selling on eBay as a hobby, with products he already had. He soon realised that for a quick turnaround he would need to purchase more stock. He operates from an old warehouse which has been turned into office space and commandeers the attic which is ideal for the racking that he needs to store the comics in. He is hoping to secure retail store in a more central location and has already made some tentative enquiries. The Products and Services section in this ecommerce business plan example needs to be much more than simply a list of what your new business is going to provide. This is especially important if you’re looking to get funding; so make sure that you showcase the value, the quality, and the benefits of your business. Why would people buy from you as opposed to your competitors? Comic Books Online intends to become the market leader in the sale of games, comics and collectables. Their ethos is to provide reasonably recession-proof products for collectors and hobbyists. Comic Books Online also plans to launch a series of focused websites within the collecting, hobby games and comic markets. The first will be comicmarket.co.uk. This will be supported by eBay and Amazon sales channels. This will be quickly followed by various individual websites. The idea is that these sites will be closely monitored, modern, easy to navigate and uncluttered. The aim is to provide an improved shopping experience for their customers and combined with the high stock levels, should see the suite of sites becoming the go-to ones within the market place. These sites will combine inventory using multi-channel software to simultaneously list their products across both eBay and Amazon. Once these sites are up and running a secondary market site will be implemented with an app that allows Comic Books Online to purchase goods from customers to re-sell in the second-hand market. The final stage is allowing customers and other businesses to list products on the site, in the same way Amazon and Rakuten do. This will provide another income stream and will further increase the market share of the sites. There are various competitors that offer similar products to that of Comic Books Online. Those such as Music Magpie and Ziffit use the barcode system, whereby customers can scan the barcodes of the items that they wish to sell, then obtain a price, if they are satisfied with price offered they can then send it off (with free postage) to the specific company. When the item is received payment will then be made to the customer. Customers can buy from Music Magpie as sell. Forbidden Planet has various retail outlets throughout the US as well as online ones and trade in comics, collectables, clothes, books, DVDs, magazines, gaming and toys. A similar company is Retail City which has a retail outlet in Caifornia and is in the process of setting up a website. They retail in comics, graphic novels and action and funky pop vinyl figures. ABC Limited has numerous stores within the US as well as abroad and an online site, and buys and sells tech and entertainment products, phones, video games, DVDs, Blu-ray films, computers, TVs and monitors and CDs. Comic Books Online is always striving to offer the most competitive price on their products across eBay and Amazon webstores. 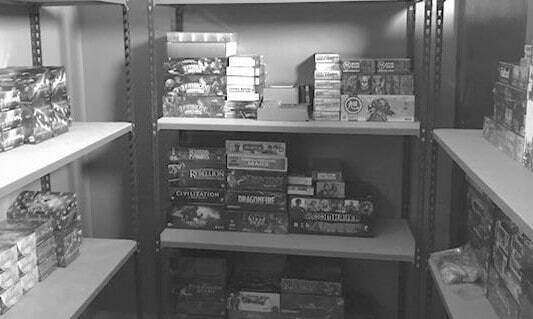 As mentioned previously Comic Books Online currently sells comics (US comics, Marvel, DC etc), Miniature Wargames (Games Workshop, Warlord Games, Mantic etc), Board games (Fantasy Flight, CMON etc), CCG’s (Magic the Gathering etc) and second-hand Blu Ray films via their eBay store. Primarily, with funding, David wants to set up a website that details all available products. He is looking at setting up a retails store to carry on the online business, as well as providing a brick and mortar outlet which will act as a regional hub enabling customers to trade in unwanted goods and serve the second-hand market. In the future, the flagship store will incorporate a large play area to allow Comic Books Online to host events, competitions, and gaming nights. Once the focused websites have been launched, David aims to implement the secondary market site and app, allowing him to purchase goods directly from customers and resell within the second-hand market. This method has been used with great success within the film and music sectors. The final stage is allowing customers to list their products on the sites, as with Amazon and Rakuten. Comic Books Online sources many of their collectables from various distributors. The comics are sourced from a US based company called ‘Diamond’. The trade discount varies between each distributor but generally is between 35-45% off RRP. Purchases are also from private collectors, auctions and word of mouth. The most time-consuming aspect of the business is the sorting of the comics. The IT system that is used by Comic Books Online is called ‘Seller Dynamics’ which is a multi-listing tool. An item can be listed and cross-sold through Amazon and eBay and it incorporates shipping, combined orders and returns. A percentage of the turnover is charged, which David says is 1% at present. Comic Books Online currently sells products via their eBay store which processes payments online. A company website is being researched at present, where shoppers will be able to buy and sell online and if a retail outlet is secured, offline payments will be available too. David has not yet trademarked the brand. The data and app for second hand goods and pricing will be similar to IP and could have worth in the future. This section of a business plan is very often glossed over because, more often than not, the business owner is so involved within their business, that it doesn’t occur to them that they can learn something by writing this down! This section is one of the most important aspects of your ecommerce marketing plan. In fact, it defines where you currently are in terms of your market, product, customers, and competition. It also allows you to look at both internal and external factors and to review and document the strengths and weaknesses of your business, as well as identifying any opportunities and threats within your marketplace. Your #Market #Analysis section of a business plan is one of the most important aspects of your marketing plan. It defines where you are currently in terms of your market, product, customer, and competition. Check out this example in our #Ecommerce #BusinessPlan! Comic book collecting is a hobby that views comic books and other such related items as collectables or artwork to be sought and preserved. There are many reasons why comics are collected, including appreciation, nostalgia, financial profit and to complete a collection. It is more recent than the collecting of postage stamps and has a major following around the world today. Combined with the release of many films featuring heroes/villains from Marvel and DC comics popularity has increased considerably over the last few years. Comic Books Online aims to appeal to males aged 10-55 years and hopes that with the correct presentation and marketing the products could also appeal to the female generation. Comic Books Online aims to provide a vastly improved shopping experience which combined with the high levels of stock and competitive prices should result in their suite of sites becoming the go-to ones within the specific marketplace. The sites will be tightly focused, modern, easy to navigate and uncluttered which can only enhance the shopping experience. Both new and pre-owned high-quality products will be offered, together with a competitive margin and excellent service. Comic Books Online sees price as the primary determining factor for purchases followed by customer service and delivery times. In the future as well as a retail outlet, Comic Books Online aims to allow customers and other businesses to list products on the sites, in the same vein as Amazon and Rakuten. The act of collecting, will never change but the trends on what may be collected can be affected by various factors. The line of business is continually evolving with media and modern technology having an effect. An example could be the upward trend in collectables of Lord of the Rings, boosted with the release of all the films. An ever-changing entity is the games console, e.g. the ps3 & 4s. By offering such a varied and unique service to their customers, Comic Books Online is able to offer a bespoke service to their customers. What is trending may not be what the customer is looking for, meaning that they are able to diversify between the individual requirements of their customer and the current trend. As can be seen in the table below, the market in all areas is showing a healthy year on year growth, a trend which looks set to continue for the foreseeable future. Some sectors are undergoing somewhat of a boom at present, such as board games, comics based on characters from current films and TV shows and miniature games, with the largest manufacturer in the wold – Games Shop seeing record share prices and dividends to investors. In short, the market is extremely buoyant and to a certain extent has traditionally been somewhat recession resistant. Comic Books Online is in the retail business, focusing on high margin collectables, hobbyists and gamers. Nowadays, more businesses are selling online and using social media, Comic Books Online’s business is conducted via web based platforms both primary and third party. Price can be a major factor for a customer when making their buying decision and Comic Books Online aims to be the most competitively priced on products across eBay, Amazon and Webstore. Comic Books Online stocks a very wide and varied selection of products that are sourced from different areas, such as Diamond, auctions and private collectors. In the future, the company aims to host events, competitions and gaming nights and incorporate a regional hub to enable customers to trade in unwanted goods to serve the second-hand market. As mentioned previously, the customer age group for the business will be mainly males aged between 10-55 years. Comic Books Online also aims to market and present their products in such a way that the current female market may grow accordingly and feel that this is a market share they could dominate. Comic Books Online’s greatest strength is being able to offer a flexible line of business and combined with the launch of a series of focused websites within the collecting community will ensure a vastly improved shopping experience the most for customers. Comic Books Online is a new company in a fairly competitive business. Having low levels of free capital means that purchasing job lots could be difficult, limiting the current scale. The most promising opportunity will be the cross-selling that will be generated from the launch of the focused websites. When a retail outlet is established this will enable Comic Books Online to broaden the line of business and expand their products. Possible threats that could affect Comic Books Online are the restrictive lines of business due to the lack of a retail outlet and not having the free capital to purchase job lots in order to expand stock. The marketing strategy section of your ecommerce business plan describes who your customers are going to be and how you plan to communicate to them the services or goods you are offering. If your potential customers are not made aware of your business, you are not going to stay in business for very long! Defining a marketing strategy in your business plan highlights your understanding and knowledge and emphasizes what makes your business concept compelling. It also outlines how you plan to attract and maintain a customer/client base. How are you planning to advertise to your market? Comic Books Online’s ideal customers are those who are collectors of games, comics and hobby games. Although, there are other competitors both on and offline, Comic Books online will stand out because of the focused websites that they will be creating. 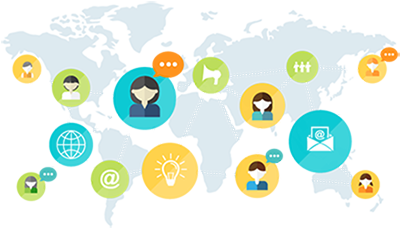 It will enable the customer to find exactly what they want in a quick and stress-free manner. The marketing strategy to promote Comic Books Online will include: flyers in each of their eBay and Amazon sales, to nudge the customer over to their focused websites with coupon offers etc to encourage direct shopping, press adverts within specialised magazines, Facebook and social media presence, flyer distribution and convention presence. When Comic Books Online has secured a retail outlet, the high street presence will not only help grow the brand and provide name recognition, but it will act as a regional hub for customers to trade unwanted goods to service the second-hand market. The flagship store will have a large play area where events can be hosted along with competitions and game nights. Comic Books Online is in the process of deciding whether to purchase a website ‘off the shelf’ from an eCommerce company called VisualSoft at the cost of approximately $15,000 or to employ a coder who will be able to design one from scratch, build it up and keep it maintained (with an approximate wage of $30-40K per annum). The ‘off the shelf’ website would take approximately three months to go live. An initial payment is made up front, followed by instalments before the website goes live. It does have a back-end content system which can be integrated with Seller Dynamics which is the IT system that is currently used. With the first round of funding David would like to open a retail store. He has made some tentative enquiries and has seen one based on the outskirts of California which is 3,000 square foot with twelve parking spaces. The rental is $40,000 per annum, the rent for the current premises is $1,000 per month. Six-month forecast – Looking ahead Comic Books online would like to employ more staff members. These staff would work on the shop floor as well as process the online orders. Looking ahead to twelve months, David hopes to have a system/app whereby a customer who wishes to sell something to Comic Books Online, can simply scan the barcode, which will then notify them what price will be paid for said item, if accepted they then send out the item to David, who then makes the payment upon receipt of the item. An approximate costing for this app would be in the region of about $100,000. Comic Books Online’s competitors are other suppliers of collectables both on and offline. Comic Books Online’s flexibility means that they are able to build a varied product base and are able to move with the trends within the collectable market. Having free capital available means that they will be able to purchase collectors jobs in a whole variety of areas along with buying in multiple job lots. Comic Books Online’s promotional activity will focus on driving customers to the direct websites via third party platforms. They will use a variety of methods to market to their customers including websites, social media, magazine advertising, flyers, convention presence and email campaigns and promotional offers. Comic Books Online aims to change the way in which customers shop for their collectables. They want to create a series of focused websites so that their customers are able to source exactly what they are looking for quickly and easily. A no quibble money back guarantee is offered and Comic Books online has excellent eBay feedback of over 25,000. Comic Books Online sales work at present online and when a retail outlet is secured also offline. Online – A series of focused websites will be created whereby customers can browse in the collectable area that they are interested in. In the future, if customers have items that they wish to sell to Comic Books Online, they will simply download the designated app and scan in the barcode of what they want to sell. An offer price will then be sent to them. If it is satisfactory, they will send off the item and, once it is received, payment will be made. Offline – The retail outlet will act as a regional hub so customers are able to physically bring in the items that they wish to trade in to serve the second-hand market. The online business will also be based here and the aim is to host events, competitions, and gaming nights. Comic Books online does not have any strategic alliances. Comic Books Online expects to take the company public in approx. 5 years. Ensuring that you have a COMPLETE financial plan within your business plan will DOUBLE your chances of investment as well as the future growth of your business. A lot of small businesses don’t have a financial plan and it’s essential to your long-term success and business growth. Initial Start Up Expenses – Especially if this is a start-up idea, it’s essential that you have a description of what you need for investment purposes. Sales Forecast – It’s essential to have an estimate of your monthly sales revenue as well as annual. This helps you understand your business and plan out any marketing and growth strategies. Direct cost of sales – Measures the amount of cash the company will have to spend to produce the goods or services sold by the company. The direct cost of sales only includes the expenses directly associated to production. Profit and Loss Forecast – This is a statement summarizing the revenues, costs and expenses incurred during a specific period. Balance Sheet – This is the financial position of the company and states its assets, liabilities and owners’ equity at a particular point in time. It illustrates the business’s net worth. Loan Repayment – This shows the lender or potential investor the act of paying back any monies. So… Are you ready to look at some figures? Ensuring that you have a COMPLETE #financial #plan within your business plan will DOUBLE your chances of #investment and future growth of your business. What is a Business plan and why do you need one? Are you going to start up your own ecommerce store or have you recently written a business plan? We’d love to know what you thought about our ecommerce business plan example. Feel free to leave any comments below and I will be sure to answer them as soon as they come in.